Muscular dystrophy is a group of degenerative diseases that cause weakness and the loss of muscle mass. It occurs mainly in boys, and can appear as early as age three. Patients who are not treated are usually unable to walk by the time they’re about ten. While advances in medicine have extended the lifespans of some patients, muscular dystrophy is often fatal by the late teens because of respiratory or heart problems. Dentistry posts from CDA? Click here. The term muscular dystrophy (MD) refers to more than thirty conditions, the most common of which is Duchenne muscular dystrophy (DMD). It isn’t known how common other forms are, in part because symptoms can vary so much from one patient to the next. This article mainly describes Duchenne MD, but also considers Becker (BMD). BMD is similar to DMD, but the symptoms are not as severe, and it progresses more slowly. Muscular dystrophy brings on a host of life challenges, including proper dental care. The Center for Dental Anesthesia in Alexandria is equipped to treat patients with MD and other special needs. Muscular dystrophy is a particularly cruel disease. Children who are diagnosed with it gradually lose their ability to walk, move their arms and hands, and even to breathe easily. In about a third of all cases there is no family history of the disease. While medication and physical therapy can slow its progress there is currently no cure, nor can it be prevented or reversed. In 1986, research supported by MDA identified a gene on the X chromosome that, if it mutates, leads to DMD. Women are DMD carriers, but carriers don’t usually have any signs or symptoms. People with DMD are also more likely to have poor dental hygiene. Even with help from caregivers, it may be difficult for the patient to open his jaw or move his tongue out of the way. It is common to find higher than ordinary rates of tooth decay, plaque buildup, poor gum health, and poor dentition. Many of the issues that make everyday life a challenge for MD patients are present in the dentist’s office. Since many are in a wheelchair by the age of ten, just getting into the office may be a challenge. The Center for Dental Anesthesia is fully wheelchair accessible, and many dental practices throughout the United States follow that example. Some patients, of course, are able to walk but may be more likely to fall. Dental professionals should take appropriate precautions. plan that’s right for you. Caregivers and the loved ones of people with MD must be proactive in the management of their dental care. The combined effects of the progression of the disease and the weakening of the facial muscles means there must be constant vigilance. No matter your age or physical condition, good dental health is important. It should never be viewed as some kind of bonus. At the Center for Dental Anesthesia in Alexandria, we believe that no one should be without quality dental care because of a physical limitation. Our entire facility is wheelchair accessible and provides specialized dental chairs and equipment. Each team member is familiar with relevant protocols, and has years of experience in providing dental healthcare to patients with DMD and other special needs. Please call our office to schedule an appointment. For anyone with a loved one facing the challenges of muscular dystrophy, you can read about the latest in medical management, and find other useful information, on the Muscular Dystrophy Association website. Mayo Clinic website. Referred to hereafter as Mayo Clinic. More than thirty forms: “All About Muscular Dystrophy,” Referred to hereafter as All About. “Facts About Duchenne & Becker Muscular Dystrophies.” referred to hereafter as Facts. “Duchenne Muscular Dystrophy (DMD).” Referred to hereafter as DMD. Parent Project Muscular Dystrophy, referred to hereafter as Parent Project. Parent Project. Note: since most MD patients are male, this article forgoes gender-neutral language. Dental Care Every Day: A Caregiver’s Guide. Muscular Dystrophy – CDHO (College of Dental Hygienists of Ontario). At the Center for Dental Anesthesia in Alexandria, we are sometimes asked if gum sweetened with xylitol is an effective substitute for brushing your teeth, and regular dental exams. Xylitol is a natural sweetener that was first discovered in birch tree bark but is also found in many fruits and vegetables. Unlike most other sweeteners (natural or synthetic), xylitol is actually useful for your teeth. Numerous clinical studies have demonstrated that xylitol prevents the growth of the bacteria that initiates decay. It also lessens plaque and strengthens tooth enamel. Xylitol has other benefits, as well. Because it is low on the glycemic index, many of my patients with diabetes enjoy it as a healthy alternative to sugar. For our patients that notice frequent dry mouth, we recommend xylitol gum or mints to stimulate saliva production while safeguarding against cavities. Now, back to the golden question. Is xylitol gum just as effective as brushing your teeth and seeing your family dentist regularly? Absolutely not! If you cannot brush your teeth after a meal, chewing xylitol gum for five or ten minutes is probably a good idea. However, you should still brush your teeth thoroughly (with a soft brush) after meals and get twice-yearly exams and dental cleanings. At the Center for Dental Anesthesia in Alexandria, our goal is to keep your smile healthy and beautiful for life by preventing dental problems before they start. We offer a wide range of servicers, from family and cosmetic dentistry, to special needs dentistry. Schedule an appointment today. At the Center for Dental Anesthesia in Alexandria, we are dedeicated to the dental health of each of our patients. Healthy teeth and gums are an important part of complete physical and mental health. An unhealthy smile can erode confidence, cause embarrasment, and make eating and speaking difficult. Our team wants to help keep your mouth and teeth healthy so that they don’t adversely affect your stamina in any way. We humans have two sets of teeth in our lifetime. The first set are your ‘primary teeth’, which are often called ‘baby teeth’. Baby teeth typically start to come in at about 6 months old. The full set of twenty primary teeth are usually in by the age of five. Primary teeth will eventually fall out and new permanent teeth will grow in. Permanent teeth typically begin to come in around age 6 for most Alexandria residents, but every person is unique and it could be a little earlier or later. By about age 13 an average healthy mouth should have 28 of the total 32 permanent teeth. The last four permanent teeth may or may not come, but typically come in between the ages of 17 and 21 if they do. Because of the late age that these last teeth come in they are commonly called ‘wisdom teeth’. Caring for all of your teeth – whether you are young and have 20 primary teeth or are an adult and have 28 to 32 permanent teeth – is necessary for total health. At the Center for Dental Anesthesia in Alexandria, we want all our patients to have healthy teeth. Our services include family and cosmetic dentistry. Schedule an appointment today. Think It’s Not Necessary To Replace Missing Back Teeth? 1. The adjacent tooth (or teeth) may start shifting. If a tooth tips, moves, or rotates, it can affect the bite. The unopposed tooth can also move, though it generally moves outward from the bone (over-eruption). Teeth that are displaced can become more vulnerable to gum disease, decay, and other problems. 2. The underlying bone will eventually loosen. Without the tooth root, the jaw bone recedes. This changes the shape of the face and gives it a sunk-in look due to a decrease in supporting bone. The vertical shortening advances and becomes more pronounced as you get older. 3. There will be extra stress on the teeth that take over the chewing functions. This can lead to excessive wear, fracture, or pain. 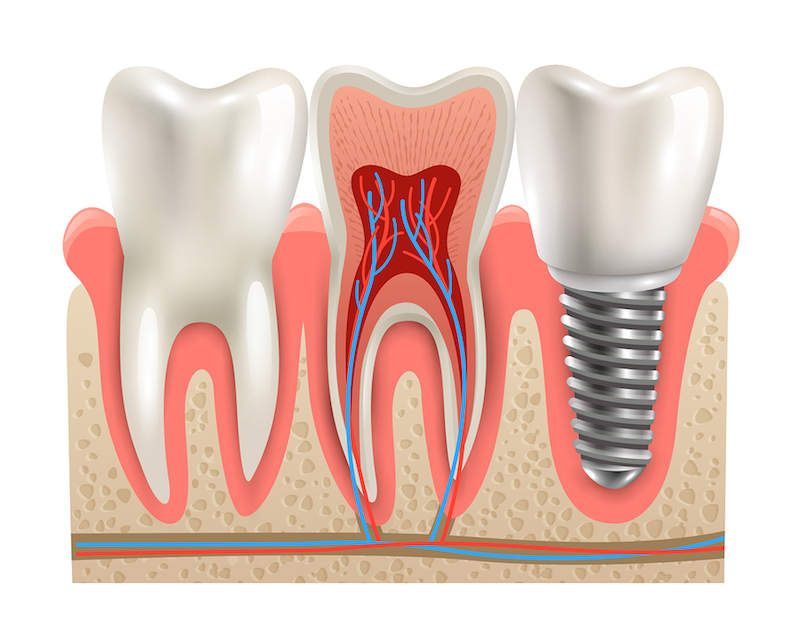 If you have a missing back tooth and want to learn about dental implants, call the Center for Dental Anesthesia in Alexandria. We offer family dentistry, and a wide range of other services. Schedule an appointment today. We all go to the dentist for cleanings and check-ups, but there are other, less-obvious issues that we can help you with. In this post from the Center for Dental Anesthesia in Alexandria, we look at some common conditions you can discuss with us. Jaw Issues. If you notice inexplicable jaw pain or notice a clicking sound, be sure to schedule an appointment with your dentist right away! These symptoms can be signs of a serious condition called temporomandibular disorder or TMD. Teeth Grinding. If you’ve been stressed out and find that you’ve been grinding your teeth (or if your partner tells you that you’re doing it in your sleep), discuss it with your dentist. A simple appliance can guard your teeth. If you have sufferred damage from grinding such as fractured or chipped teeth, we will give you information about restorative dentistry. At the Center for Dental Anesthesia in Alexandria, we provide a wide range of services: from family to special needs dentistry. Schedule your next checkup with us today. If you don’t like your smile, a cosmetic dentistry smile makeover from the Center for Denteal Anesthesia in Alexandria may be just what you’ve been looking for. There are exciting developments in the field of cosmetic dentistry. 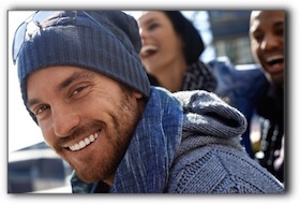 Cosmetic dentistry is all about making positive changes to the appearance of your smile. A smile makeover uses several cosmetic dentistry procedures. Any smile makeover is a balancing act. It takes into consideratiion your overall facial appearance, including less-obvious attributes like hair color and skin tone. We also consider the appearance of your teeth and gums. After weighing all these variables we customize a plan based on your unique characteristics. At The Center for Dental Anesthesia in Alexandria, our cosmetic dentistry includes porcelain veneers and teeth whitening. Schedule an appointment with us today. This post from the Center for Dental Anesthesia in Alexandria VA is about tooth enamel. Our teeth work hard and are constantly under assault. It’s no wonder that nature encases them with an armor of enamel—the hardest substance in the body. Sadly, enamel erosion is extremely pervasive, though largely preventable. Enamel’s chief enemies are acidic foods and beverages. Other factors that can weaken enamel or wear it away are some medications, tooth grinding, acid reflux, gastrointestinal ailments, chewing ice or other hard substances, and eating disorders. At Center for Dental Anesthesia, we educate our patients about how to keep their enamel strong and prevent further erosion if some has already occurred. Enamel is unlike many other tissues in the body; once it has been eroded, it can’t be regenerated. According to the NIH, 41% of adolescents already have enamel erosion. Vigorous brushing can hurt enamel. 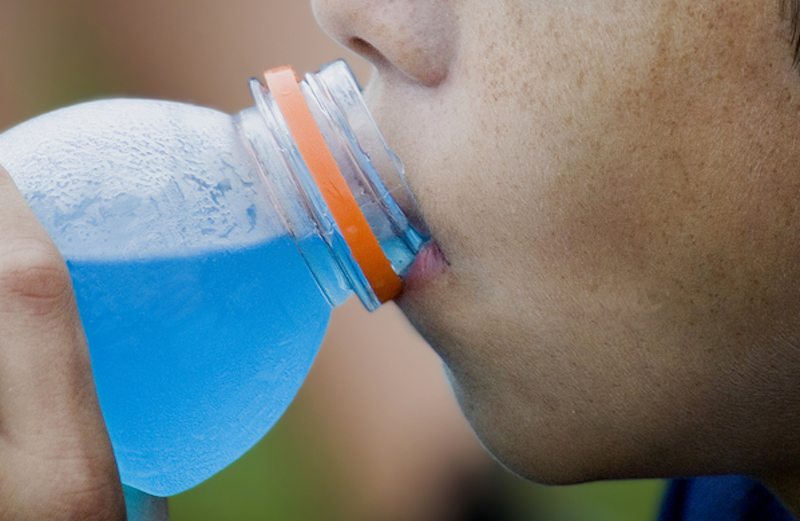 Diet sodas, sports drinks, and energy drinks are just as dangerous as sugared sodas. Dry mouth can weaken enamel because it results in less saliva which helps keep enamel healthy and strong. If you have already experienced enamel erosion, there are several dental procedures that can protect the teeth that have been affected. Call the Center for Dental Anesthesia in Alexandria VA. Services include family and cosmetic dentistry. At the Center for Dental Anesthesia in Alexandria VA, we are sometimes asked how to select a toothbrush. Picking a toothbrush can be as hard as choosing a paint color, and there seems to be just as many choices. If you have visited the dental section of your local grocery store, you know what we mean. To name just a few of the available types, there are brushes with bristles of varying lengths, brushes that massage your gums, and brushes that change color when they are used up. When selecting a toothbrush for a child, it’s important to make sure the brush feels comfortable in his or her hand. 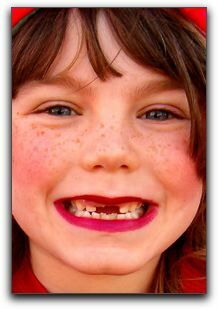 If the size and angle feel awkward, the child will be less likely to use it long enough to clean all areas of the mouth. Children do not necessarily need a child-sized toothbrush. Some kids can manage an adult size brush better than a short, narrow child-size brush. If you are unsure, ask us. Is your child’s toothbrush and brushing technique doing the job? Schedule an exam with us to find out. Our hygienists help our patients of all ages learn proper brushing techniques. One crucial factor is the firmness of the bristles. Hard bristles may be more effective for cleaning burnt steak off a grill or hard water deposits off a shower floor. But this does not hold true for your teeth. Medium and firm brushes can weaken your gums. Soft and extra-soft bristles are plenty stiff enough to wipe plaque, food particles, and surface stains from your teeth. Soft bristles also offer more flexibility for hard-to-reach nooks and crannies. At the Center for Dental Anesthesia in Alexandria VA, we recommend coming in for a dental cleaning every six months. Our services include family and cosmetic dentistry. Schedule an appointment with us today! At the Center for Dental Anesthesia in Alexandria, we make a conscious effort to help our patients feel comfortable. Though our chairs are cushy as can be, we mean more than physical comfort. 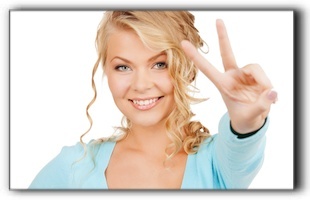 We mean peace of mind, which may include sedation dentistry. 1. We don’t judge you. We have devoted our careers to promoting oral health and creating beautiful smiles. We are here to help you, regardless of the state of your teeth. We have treated patients with severe tooth neglect, advanced gum disease, enamel erosion caused by eating disorders, tooth damage caused by illegal drug use, baby bottle tooth decay, tobacco-stained teeth: basically, every imaginable dental trouble. We don’t live in a bubble. We understand and empathize with our patients. 2. We protect you from pain. From topical analgesics to sedation, we will eliminate or minimize pain as best we can. We are a leader in sedation dentistry. 3. We help you with your dental anxiety. Fear of the dentist is far more common than you might think. The perceived loss of control, instruments poking in your mouth, and teeth being worked on is not pleasant. Some individuals get claustrophobic because they need to lie still in the chair for treatment. Sedation dentistry not only assists in pain management, it allows you to relax through your appointment. We can review the different levels of sedation so you can select the one that is best for you. 4. We communicate with you. Procedures are thoroughly explained and all your questions will be answered prior to treatment. If you are not sure you want to initiate treatment, we are happy to let you think about it for a while. There is no rush. If you have postponed dental treatment for any reason, we encourage you to give the Center for Dental Anesthesia a try. Neglecting your oral health has serious consequences. Our services include family and cosmetic dentistry. Make an appointment today. Mother Theresa once said “Peace begins with a smile.” Perhaps that peace should start with the person who is smiling. 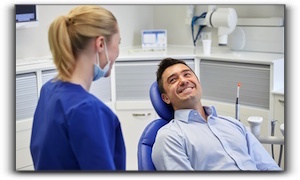 At the Center for Dental Anesthesia in Alexandria, we ask: how do you feel about your smile? Are you at peace with it? Would you like to improve it with modern cosmetic dentistry? Bright eyes and bright smiles are best served clear and clean. Regular dental checkups can prevent runaway decay and expensive corrections. Stay at peace with your smile by scheduling regular dental visits to avoid any future oral problems. Rest assured there are ways to redo what nature has given you or cosmetically remedy problems that have affected your once-pleasant smile. Talk to us about veneers, bridges, dental implants, invisalign braces. Cosmetic dentistry is all about creating positive changes to your teeth and smile. We can fix chips and cracks, fill in gaps, and brighten your smile with teeth whitening. How does that sound? If you are not at peace with your smile and would like to make some changes, cosmetic dentistry from the Center for Dental Anesthesia in Alexandria may be just what you want. We also offer special needs dentistry. Schedule an appointment with us today.